Would you like to become a full-time investor? It might take years but many people manage it. However, at the same time, others try and fail. So, what is it that sets the successful ones apart from the rest? 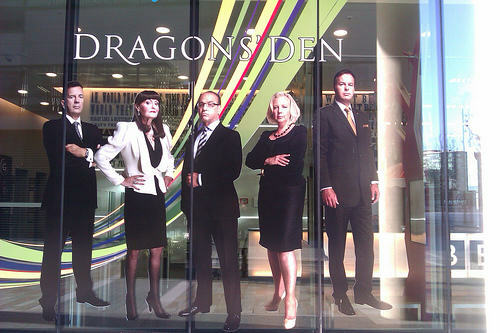 Well, if you watch the “Dragons’ Den” TV series, you’ll probably already have an inkling. When someone comes on to present their ideas to the dragons, viewers often think it’s a good idea and a great business premise. But after a few minutes’ interrogation by the dragons, most would-be investees end up riding down the lift with nothing, whilst the viewers end up nodding their heads in sage agreement! by dullhunk Caption: Can you spot the winners on Dragons’ Den? This is what sets the professionals apart, they go into the detail, they’re healthily suspicious and they start from a basis of a resistance to losing money before considering the upside. Many private investors simply do not master this. A lot can be learnt, but a lot is also innate. Of course, for most people just starting out, it’s a question of building up a steady stake and investing much smaller amounts in what are almost always companies listed on the stock market. This necessitates working for a living and steadily saving up a decent investment stake for most of us mere mortals. And remember that most people think they have what it takes in this regard. After all, we all think we’re good at spotting the next big thing, right? The trouble is that many blue sky companies just never make it. For every Microsoft, Apple or Google out there, there are hundreds that just don’t ever make it. Often, a straightforward value investing strategy can provide superior returns over a decent length of time. Overall, the best way is definitely to “try before you buy”. So, try out your own investing and trading strategies based on your own beliefs and analysis in a safe non-cash way to see if you have what it takes. With the Tradefair spread betting index, for example, you can trade in a real but cash-free environment for as long as you like. In other words, your trades are based on real data reflecting the real world, but you aren’t putting any real money at stake. This enables you to implement different strategies and try out different techniques such as stop-losses etc. in thousands of different markets without any real worries. This kind of approach really is an ideal way of seeing if you’re a potential “dragon” of your own or whether a different route to financial freedom before your retirement is one you should be looking at. Overall, if you aspire to stop being a part-time investor and be a full-time investor, then it’s advisable to try and learn from your own and from others’ mistakes. Investing can rake in real great income, however, when not done right, it can also cause a large amount of loss for you. Also, read all you can about investment strategies and learn to relax a little. Those who spend too much time looking at minor price differences are less likely to be successful than those who take in the bigger picture. 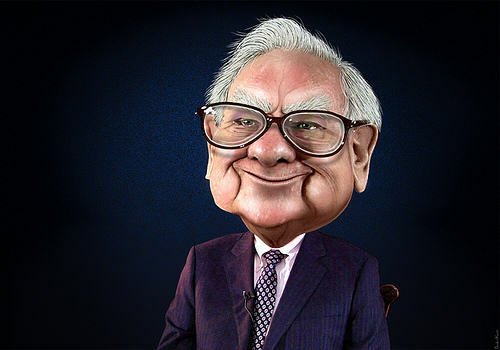 As the greatest investor of them all, Warren Buffett, once said, unless you can watch your share holdings go down by a half without becoming completely panic-stricken, you shouldn’t be in the stock market. Maybe you’re much suited for real estate investments or other low-risk investment options out there. This is easy for one of the world’s richest people to say, of course, but he’s 100% right and has been proven, many times over, to be so. So, try to hold large amounts of funds in relatively few investments which you’ve researched very thoroughly. If you hold too many different shares, it’s hugely difficult to beat the overall market direction. Plan you strategy now. Concentrate on the really big stuff, don’t over-sweat the minutiae and keep trying! Great insight here. The hard reality is it’s going to be a hard battle to become a full time investor. It takes someone with guts! 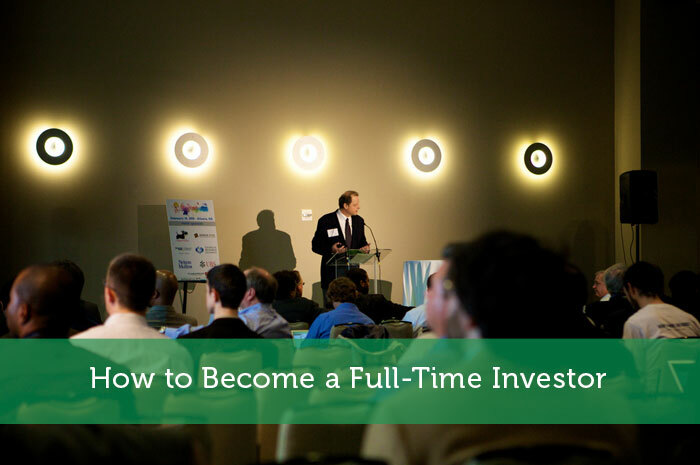 It’s very interesting on How to Become a Full-Time Investor. I’m sure many will be glad to read this article. Thanks for sharing it. Fantastic post! I don’t think I would want to become a full-time investor. I like my buy and hold strategy – it gives me plenty of free time!